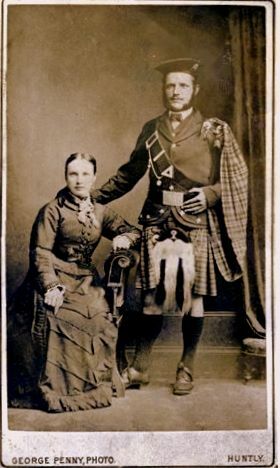 Ron Lawson says: "The gentleman is John Souter b Kildrummy 1858 and married a Mary Glennie. I think that is Mary sitting, otherwise it would be one of his sisters sent to Australia. It was forwarded by James Souter, Mossman, Queensland to my grandfather George Lawson in Mareeba. "To George from Uncle Jim" on the back."